7:00 a.m. - 3:30 a.m. 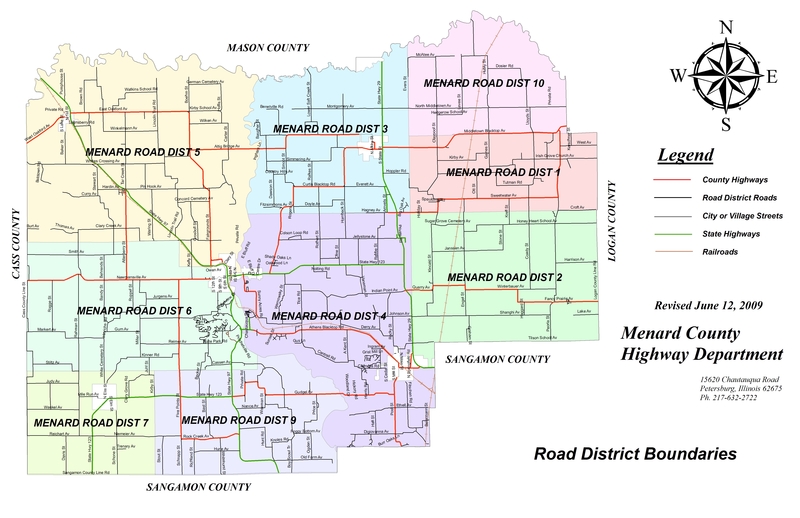 The Menard County Highway Department is responsible for the construction and maintenance of all bridges and roads in the Menard County Highway System. In addition to constructing and maintaining the 95 miles of county highways and 24 bridges, upon request, the department provides advice and assistance to the nine road districts concerning the 392 miles of highways and 49 bridges under road district jurisdiction. Any concerns or compliments about roads or bridges should be addressed to the appropriate agency. If on a Menard County Highway, forward the concern to the Menard County Highway Department. If on a Road District road, forward the concern to the appropriate road commissioner. Please click on any of the following items to view or print the information.